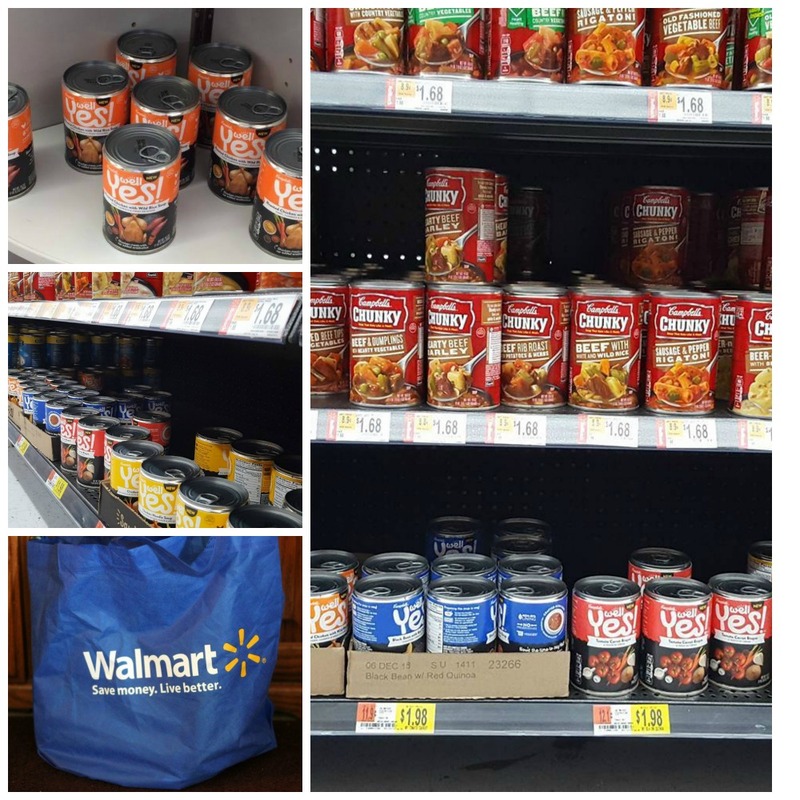 Something pretty exciting is coming to Walmart, and it's changing the way I do a late night snack. 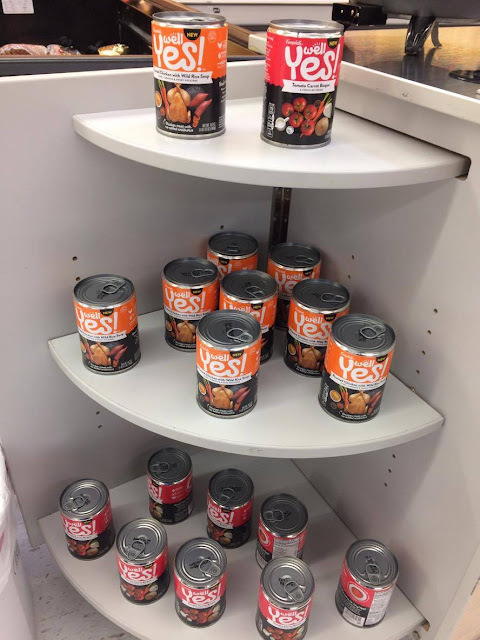 Campbell's Well Yes!™ Soup is launching in stores nationwide, and I have already had the chance to sample a few that I purchased from my local Walmart. My favorite? Tomato Carrot Bisque! This vegetarian soup contains a touch of cream and 2 cups of vegetables in a non-BPA lined can! To make my healthier grilled cheese, I simply take one piece of whole wheat bread, drizzle a bit of olive oil on it, then top with fresh, low-fat mozzarella cheese. I put it under the broiler for just a few minutes, or until the cheese is good and melty. I serve it alongside a bowl of the Tomato Carrot Bisque with a touch of parsley for extra flavor. 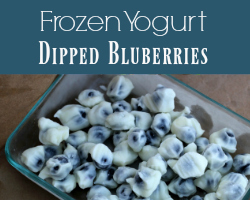 It's so sweet and creamy and delicious! Just filling enough for a satisfying late-night snack. Wanna Save? 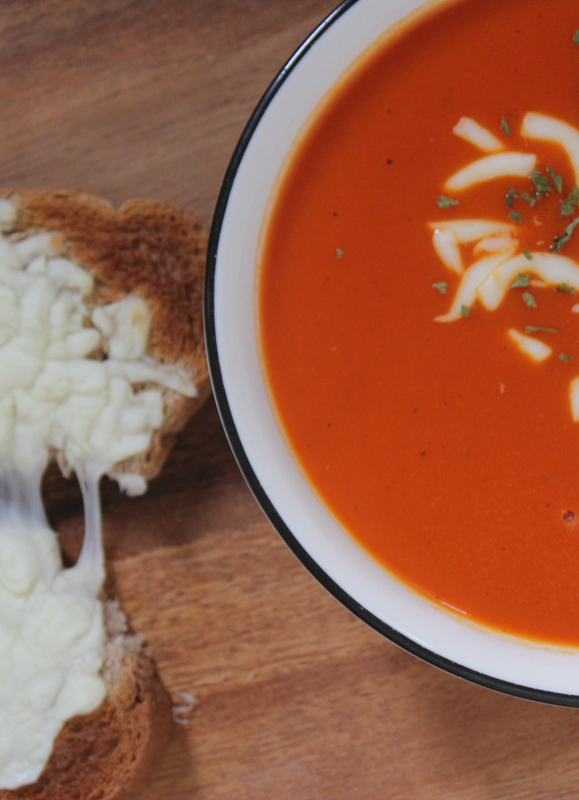 Check your Sunday papers on 2/12 and 3/12, when there will be a valuable coupon for the soups! 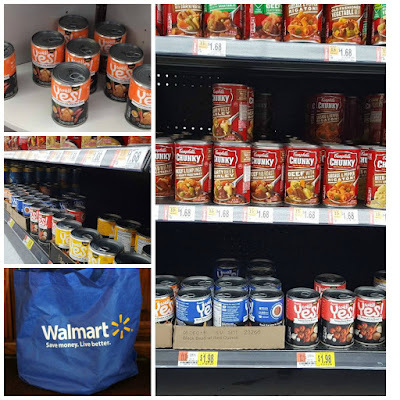 Learn more about the soups at the Walmart website, on Instagram, Facebook, and Twitter!